It is well-known that spirituality is heavily linked to kung fu. In any kung fu movie, there is some kind of representation of spirituality. For example, the makers of Kung Fu Panda showed Master Shifu on several occasions meditating and seeking “inner peace”. With these films we have an idea of what spirituality is, but lets delve deeper behind the concept of spirituality and what exactly it is. Spirituality is often thought to be connected to religious, however, the two don’t necessarily go hand-in-hand. It is possible to be one without the other. Being a spiritual person means that you have a great amount of love and respect for yourself and others. A spiritual person cares about the planet and all manners of life on it and will put them above all else. In kung fu, spirituality is a person’s inner path that leads them to discover their essence of being (i.e. the reason for which they live). Meditation through performing weapons forms. It is important to understand and recognise both the danger and beauty of a weapon. Since ancient times, spirituality and martial arts have always been linked. Martial arts is a very aggressive form of fighting. It is all about combat, harming others, and sometimes even killing an enemy. The creator of kung fu, Bodhidharma, was a Buddhist monk who based the foundation of kung fu on the balance of good and bad. Where fighting and causing harm is considered bad, kung fu is balanced by spirituality where the focus is on preserving life. This concept was used to help fighters understand when to use deadly force in a battle, and when to show mercy and understanding. Most traditional martial arts has some form of spirituality or religion. In the Five Ancestors Fist style, some of the initial forms, such as Sam Chien and Tien Te Lin Chien, has its origin from Taoism. The name Tien Te Lin Chien translates to Heaven, Earth, Spirit Battle and focuses on being able to do the form both in combat and in spiritual meditation with the intent on bringing the three parts as one. This is a traditional Five Ancestors altar displaying the five major religions of ancient China (Taoism, Buddhism, Confucianism, Emperor worshipping, and Ancestor worshipping). Our traditional martial arts schools often have spiritual or religious altars where disciples of the art are expected to pray or either light an incense or candle in front of the altar. An individual’s spirituality is their own personal connection with the Creator, or with Earth. All individuals have the right to their own views on spirituality and are free to express their spirituality in their own way. Being open-minded is an essential part for physical and spiritual growth. True strength is having a strong body as well as a strong mind to reach a high level of spiritual awakening. The point of having a fighting spirit is to be able to remain grounded internally. During a battle, a martial artist may move aggressively, however, on the inside, the martial artist is taught to remain calm and maintain a clear mind to be able to exact clear judgement at all times during a fight. In my own personal meditation, I like to have moments where I can peacefully create movement while keeping my mind open. I try to focus on positive things, such as the things I am grateful for and the things I would like to help with. Traditional praying position in Ngo Cho Kun. Instead of keeping knowledge to yourself, this form of spirituality teaches you to share what you know with others and help guide others on their journey. Spiritual awareness helps us to understand the flow of life and nature. We take so much from the Earth, but it is important that we play our part and give back in whatever way we can. Recognising the balance between spiritual and physical health will help you attain a sense of control over you own body and mind. It is so easy for humans to lose their temper and go overboard in a fight. However, achieving spiritual enlightenment will help you know when to fight, when not to fight; when to cause harm, when to not cause harm; when to show mercy, and how to forgive. Beating someone up is easy, being able to show love and compassion is hard. No one lives forever, so why not make the best of the time you have. Many martial artists, while taught how to fight are actually encouraged not to fight. It is better to preserve the life in your body instead of putting your body through physical trauma. 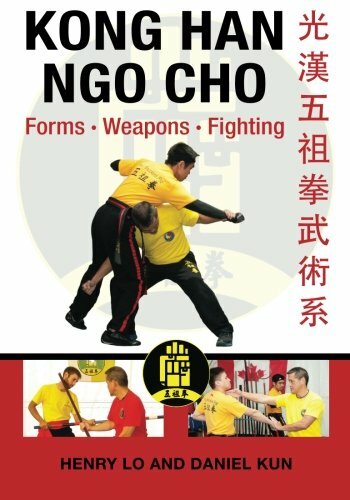 Martial arts instructors teach their students to defend themselves, but they mostly train while doing the forms on their own to encourage the flow of energy.